So you like flat cloth diapers (or “old fashioned cloth diapers”), and you want to learn a few flat diaper folds, because then you can use all kinds of different folds depending on your baby’s needs, right? If you have a tummy sleeper for example, you can use a fold where the layers are focused in the front, right? 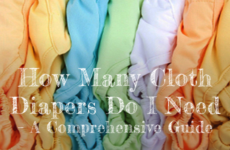 Well, doing the actual flat diaper folds is not hard once you get the hang of it, and in this post, I will show you plenty of folds with different absorbency levels to suit your lifestyle and of course, your baby. The wonderful thing about cloth diaper folds is that you have a ton of control. If you want more absorbency, you can fold it more in the areas where you need the most absorbency. You can also fold it to suit your baby’s size. The bigger your flat diaper, the more options you will have. 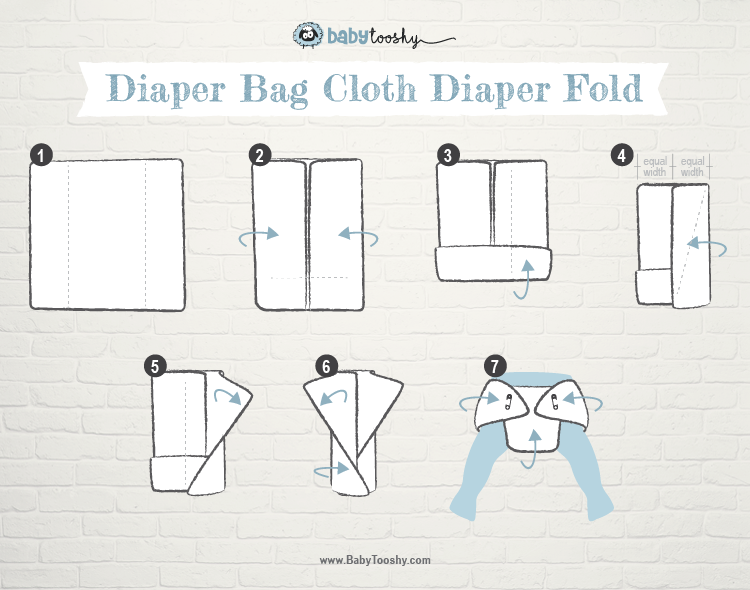 Now, it is really hard to explain how to fold a diaper, which is why I’m using videos and infographics so that you can see exactly how to fold cloth diapers. The videos also show how to put on a cloth diaper – if you’re having challenges with that. The text will be an additional guide to the flat diaper folds. The guide below shows you the common name of each fold, how many layers, and whether it’s suitable for back sleepers, tummy sleepers, girls or boys. The Pad fold is the easiest fold. The fold can be adjusted for boys by adding extra folds in the front, or for girls by adding extra folds a third of the way in. If you’re using a rectangle diaper, lay out your diaper with a shorter end facing you. Lay out your diaper flat. Fold your diaper in half, lengthwise. Fold it in half again, crosswise. Next, fold it into thirds that can then be placed into your diaper cover. Fold the diaper on each sides. Fan out the top sides of the diaper and fold the bottom up a quarter of the way. Fold the wings around their waist and secure with a safety pin or snappi. Fold the bottom edge of the diaper and fold up over baby’s bottom, keeping the twist between their legs. Fold the wings around their waist and secure with a safety pin. Fold the two sides equally into the center. Fold the bottom up about a third, depending on your baby’s size.. Fold one of the side making sure that the folded part and remaining fabric are equal in width. Fan out the top part of the folded side. Do the same step 3 and 4 on the other side. Place your baby and fold the bottom end up over baby’s bottom. Fold the wings around their waist and secure with a safety pin. Fold the lower left and right corner diagonally, about a third of the way across the diaper. Fold the bottom up about a third. Lay out your diaper flat with one corner facing toward you. Fold your diaper in half, still making sure the end corner is facing toward you. Fold the wings around their waist and secure with a safety pin or a snappi. Lay out your diaper, then fold up the edge approximately 4 inches. This will depend on the size of your diaper and your baby. Mark the center of your diaper. Fold up the edges so that it makes an airplane. Next, fold the triangle in to fit the size of your baby. The deeper the fold, the smaller your baby. Take the top parts of the diaper (previously unfolded), into the center. Do this on both sides. You can overlap to create more absorbency. 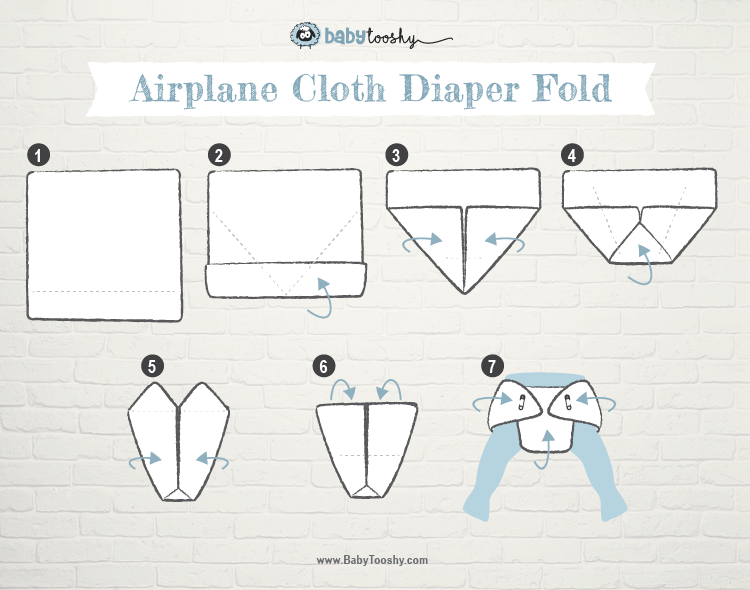 Fold the wings into the diaper. The video below is slightly different from the instructions we offer above. Our instructions above are based on the most common method of airplane fold. I decided to include both so that you could figure out which would suit you better. Using the long sides, fold the right corner in to the center. Repeat with the left corner, overlapping the edges slightly. Fold the top corner over the other two edges, then the bottom corner up about a quarter. Fold the bottom up again, creating a trapezoid. 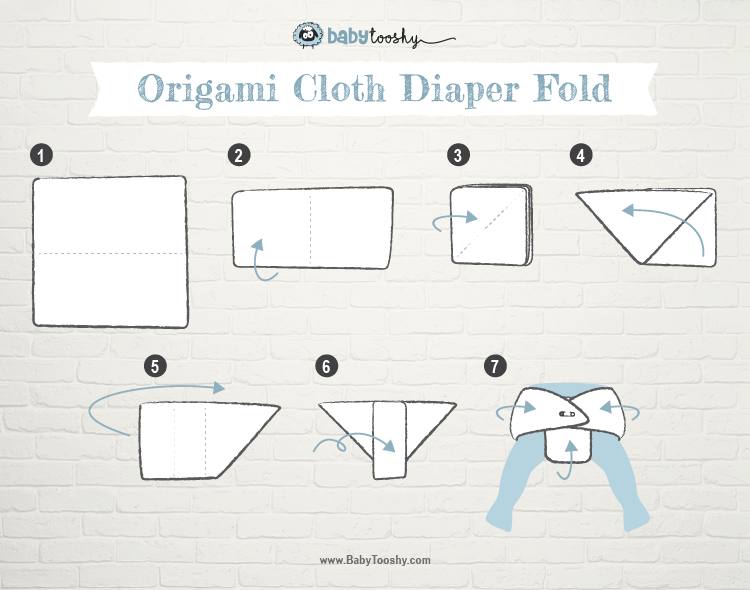 Open the trapezoidal fold, place baby into the diaper, and fold up over their bottom, into the trapezoid portion. Secure with two safety pins. Follow the instructions for the Kite Fold above. To create a fold for a newborn, you would fold the top and bottom parts more to fit your baby’s shape. Fold your diaper in half, from bottom to top. Fold it again to make a quarter fold from left to right. Pull the first layer of the right bottom corner diagonally, all the way up to the opposite side creating an upside down triangle. Fold the square piece twice, lengthwise, and center the rectangle fold. 3 layers with more layers in the front. Lay out your flat diaper. Fold the two sides about a third, slightly overlapping the two edges. Fold the top part about a quarter, and the bottom part about an eighth. If I could offer a friendly and obvious tip – it’s best to get big, flat cloth diapers. The bigger the flat diapers, the more options you have for your folds because you can add layers as you see fit. A great option is Baby Tooshy’s thirsty Hemp Flat Diapers because they are big at 27×27 inches pre prepping. They are one layer, so they’re easy to fold and suitably stretchy to mold around your baby. Baby Tooshy’s Hemp Flats are sold on Amazon for $8.99 for a single, or $49.99 for a six-pack. If that price is a little high for your liking, you could also try Gerber Birdseye flats, selling at $14.99 for 10. They are significantly cheaper than the Hemp Flats and smaller at 24×27 inches pre prepping, but also much thinner and less absorbent. Many moms use the birdseye diapers as burp cloths and/or cleaning rags once they’re done diapering. 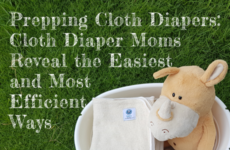 There are many options when it comes to flat cloth diapers – you may have noticed in some of the above videos that some moms use receiving blankets too, so don’t feel limited at all – use what works and what suits your budget and lifestyle. 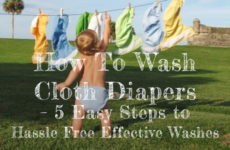 Flat cloth diapers work just like other cloth diapers, and as such, you would be best advised to get into a cloth diaper washing routine to care for your diapers. In case you’d like to see all the folds in one place, check out the infographic below. I think you’ll find this really helpful until you know your preferred folds by heart. 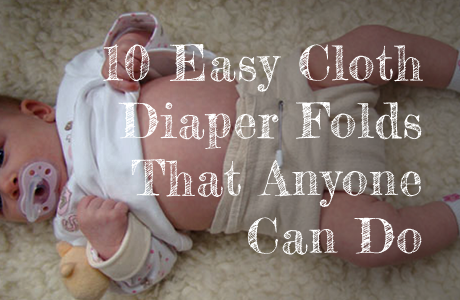 You can also download the 10 Easy Flat Diaper Folds PDF here. In conclusion, using flat cloth diapers is a great way to cloth diaper your babies because you get to control where to add layers and absorbency. This is great whether you have a tummy sleeper or a back sleeper. It is also the most cost efficient way to cloth diaper because flat diapers are usually the cheapest. It’s also super simple because all you do is put the diaper on your baby, then add a cover. Washing them is also really easy because they’re just one absorbent layer that dries quickly, so it really can’t get simpler. It is after all, the old fashioned cloth diapers our grandmas used. Cloth Diaper Folds may seem complicated at first, but once you try it out and you get the hang of it, you could probably do it in your sleep. 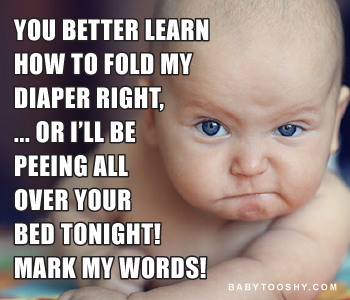 Knowing good folds to suit your baby, is important because the folds determine how absorbent the diaper will be. In this post, we make it easy for you to learn.